Founded in 1977, the National Association of Counsel for Children (NACC) works to improve the quality of legal representation of children in dependency, delinquency, and family law cases. 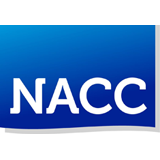 NACC is a non-profit charitable and professional membership organization is headquarters in the Kempe Center on the campus of the Children's Hospital in Colorado. NACC has more-than-2,000 members include attorneys that represent children in juvenile court and family court, as well as judges and other professionals in related fields. NACC is active in shaping legislation and policy for judicial proceedings involving children, including victims of abuse and neglect in delinquency proceedings, as juvenile offenders, as subjects of custody, visitation and adoption proceedings, and as participants in civil damages litigation. Additionally, the NACC has certified more than 400 family law attorneys as Child Welfare Law Specialists in 33 jurisdictions. The NACC certification program is accredited by the American Bar Association (ABA). NACC's certification program has been endorsed by the the Conference of Chief Justices/Conference of State Court Administrators (CCJ/COSCA) and the National Council of Juvenile and Family Court Judges (NCJFCJ). The specialization area as approved by the ABA is defined as "the practice of law representing children, parents or the government in all child protection proceedings including emergency, temporary custody, adjudication, disposition, foster care, permanency planning, termination, guardianship, and adoption." In most states, only board-certified child welfare lawyers may advertise as specialists in that area of the law. The attorney must provide a writing sample showing legal analysis in the field of child welfare law such as a brief, memorandum of law, or article. NACC is thrilled to launch our 2019 Member Webinar Series! NACC Membership benefits now include access to live and recorded free one-hour webinars held every other month (alternating with publication of the The Guardian, NACC's expanded monthly law journal). APRIL 2019: The Federal Government recently expanded how the states can receive reimbursement for foster care related expenses to include reimbursement for funds spent providing legal representation to children and parents in child welfare proceedings. This session will explain the federal funding scheme and how states can use these funds before and during child welfare cases to provide quality legal representation to children and parents. The presenters will also provide practical steps for participants, encouraging everyone to think big and to help their states maximize their funding under this new scheme. FEBRUARY 2019: This webinar addressed the meaning of Active Efforts as contained in the ICWA, discussing appellate case law describing Active Efforts, comparing Active Efforts to Reasonable Efforts, and suggesting how attorneys should argue the active efforts requirement in court. OCTOBER 2018: The child protection system is supposed to protect children from abuse and neglect and promote their health and well-being. But that system tends to confuse poverty with genuine neglect, impoverishing the families who are the targets of its intervention in the process and causing deterioration in children?s stability and prospects for self-sufficiency. This discussion, with housing and child welfare advocates and academics working in the child welfare and poverty law arenas in the US, will focus on the many respects in which the child protection system contributes to child and family poverty. Topics will include: how child protection systems misidentify and mistreat poverty; how race, national origin, and class bias intensify the maltreatment of families; how child abuse registers operate as employment blacklists in the low-income work force; economic security issues facing children aging out of foster care; and how policies that criminalize poverty operate unchecked in child protection systems in the US. On February 28, 2019, the New York State Commission on Parental Legal Representation issued an Interim Report after months of study and public testimony. The Interim Report cites as authority recommendations by NACC regarding the need for statewide oversight and infrastructure to support high-quality parent representation, as provided in NACC's written and oral testimony to the Commission. 1. We recommend that parents be timely provided with relevant information about the right to counsel, and that parents be granted access to counsel during a child protective agency investigation and sufficiently in advance of the first court appearance. 2. We recommend the establishment of a State Office of Family Representation (the Office) to provide oversight of parental representation. That Office, in turn, would oversee representation in child welfare cases by institutional offices and well-resourced attorneys to ensure the delivery of client-centered, interdisciplinary, holistic parental representation throughout the state. 3. We recommend that the proposed Office of Family Representation develop uniform standards of eligibility for assigned counsel that would apply in all Family Court proceedings, and would include a presumption of eligibility for counsel in child welfare proceedings, to be established by legislation. 4. We recommend that the State fund a study to determine appropriate maximum caseload standards for attorneys representing parents in Family Court proceedings. Until such a study has been completed, we recommend a caseload maximum for attorneys representing parents in child welfare cases of 50 to 60 pending clients per attorney, to be established by legislation or rule. 5. We recommend that the State pay for all costs associated with parental representation in child welfare proceedings to ensure quality representation and eliminate disparities among localities. Here is a recent article on the Interim Report from the Chronicle for Social Change. On October 9, 2018 NACC Executive Director Kim Dvorchak provided testimony at the New York State Commission on Parental Legal Representation in Albany, New York. The Commission was established by Chief Judge Janet DeFiore to gather information on existing services and suggestions for reforms needed to ensure quality representation for persons eligible for assigned counsel in family law matters. The commission is conducting public hearings and soliciting comments and information to inform the Commission's report and recommendations. Click here for information on the Commission. Ms. Dvorchak shared information about NACC's Policy Advocacy Agenda, which supports the right to effective assistance of counsel and access to justice for children and parents, NACC's Child Welfare Law Specialist Certification program, and NACC's experience assessing and supporting the development of parent representation in Colorado. NACC provided the Commission a copy of Child Welfare Law and Practice and shared information about the Child Welfare Law Office Handbook. NACC recommended New York establish a system of statewide oversight and support for parents' attorneys in the same manner it provides statewide oversight and support for children's attorneys. "The delivery of high-quality legal services requires an infrastructure which provides attorneys with the time, training, compensation, and resources necessary for effective representation, and a system of statewide funding and oversight to safeguard its success." Click here for NACC's Written Testimony to the Commission. Please take a moment to answer two questions about your preference on NACC conference dates!